Bear with us, this website is under construction. Who are we? 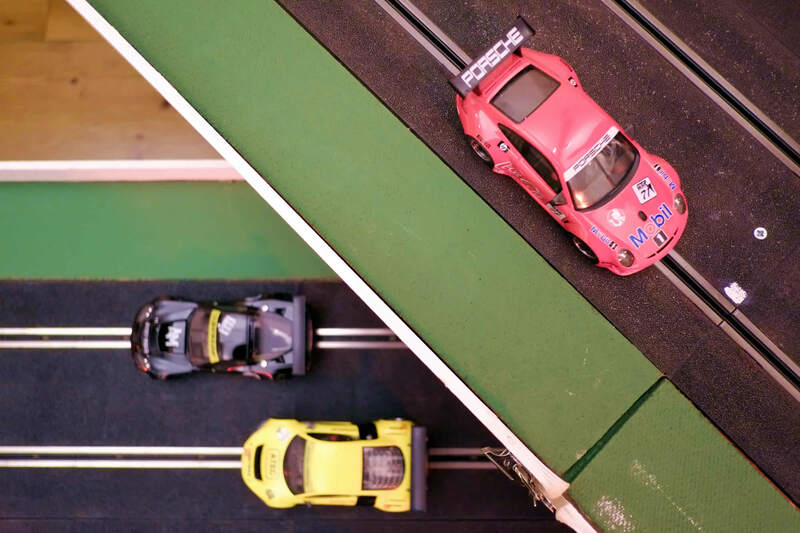 We are grown men who never forgot the childhood smells of hot electric motors and controllers, who dreamt of a really long straight and a Scalextric track with more than two lanes. If you are male or female, young or old, and these thoughts take you back to halcyon days and you live in Oxford, or there abouts, then dream no more. We meet on the 1st, 3rd and 5th (as and when it occurs) Tuesday night of a month, 8:00pm at the Ramsden Memorial Hall, Ramsden (located midway between Witney and Charlbury, just off theB4022). If you are interested in having a go then drop us a line, or just pop along. Meantime, please poke around the site and imagine the fun.